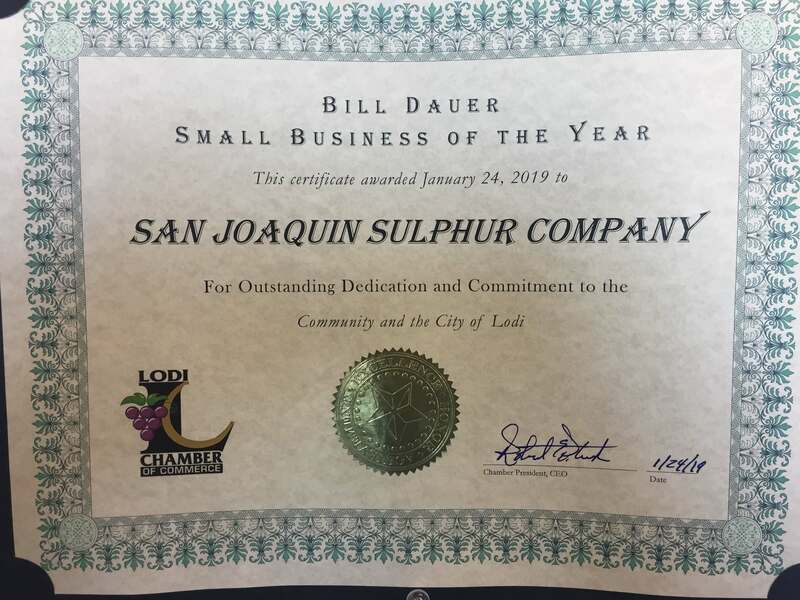 San Joaquin Sulphur was founded in 1941 by three partners as a small independent ag retail store. The company’s primary business was importing rock Sulphur from Texas by rail and grinding it into dust so it could be hand applied into the vines. In 1957, the firm was sold to Ralph and Bruce Burlington, two brothers raised in a family with a history in Lodi agriculture. They were industrious agriculturists. As sulphur dust became increasingly more popular, the company saw additional opportunities for crop protection. They manufactured various blends of dusts with pesticides and fungicides so growers could treat multiple pests and diseases while they dusted. Then, seeing a need for unique blends of fertilizers for specialty markets such as greenhouses and hydroponics, they formulated custom fertilizer blends, which are today sold locally as well as nationally. In 1990, Quantum Irrigation was formed under the SJSC umbrella in order to provide another innovative style of irrigation: drip irrigation. Ralph retired from SJSC in 1984. The company is owned by Bruce and his three children, Tom and David Burlington and daughter Jan Chandler. Jan joined the company in 1993 and has served president since 2000. Between the multiple agri-business entities, field personnel, manufacturing and office staff, SJSC at one time grew from just Bruce and Ralph to over 50 employees. Today, they are more compact and provide a full range of farm supplies, including safety gear and spray equipment as well as crop protection and nutrition products. The company is dedicated to promoting sustainability and serving the local farming community for many years to come. In 2018 SJSC celebrated 77 years in business and continues to find new niches to fill and be a valuable resource to local growers.